Guess & Win with Pikau the New Zealand Babywearing Week Kiwi – Winners Announced! Hi everyone. It’s Pikau writing to you on this lovely Spring evening. Sorry it’s taken me a while to announce the winners in my competition but I’ve been so exhausted from my daytime jaunts during New Zealand Babywearing Week attending some of the events happening around the place from October 6th – 14th. It’s taken me this long to feel recovered enough to get my typing toes into gear! I had such a great time travelling during New Zealand & International Babywearing week, attending some wonderful events and meeting some great Kiwi parents and kids. 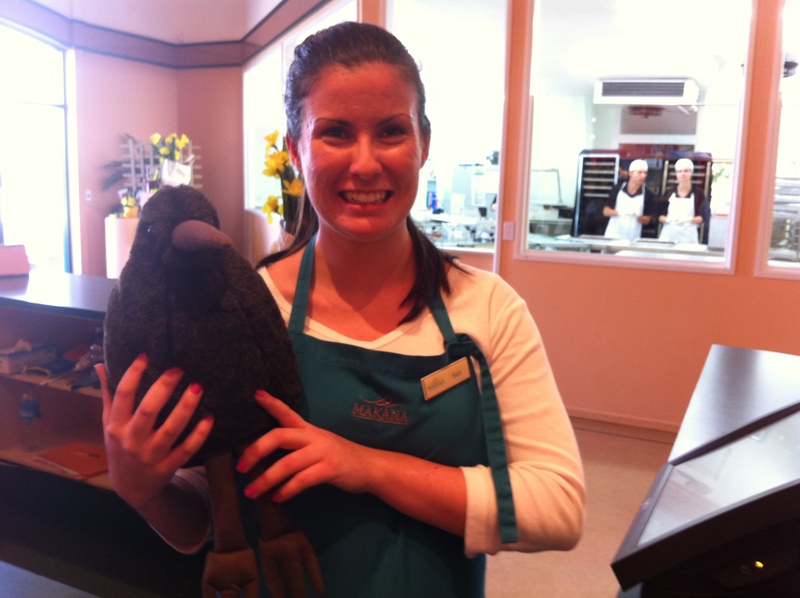 Here I am at the event which kicked off NZBW12 – the Kerikeri Babywearing Walk which concluded at the Food at Wharepuke Cafe. This is me with the winners of the sponsored prizes! 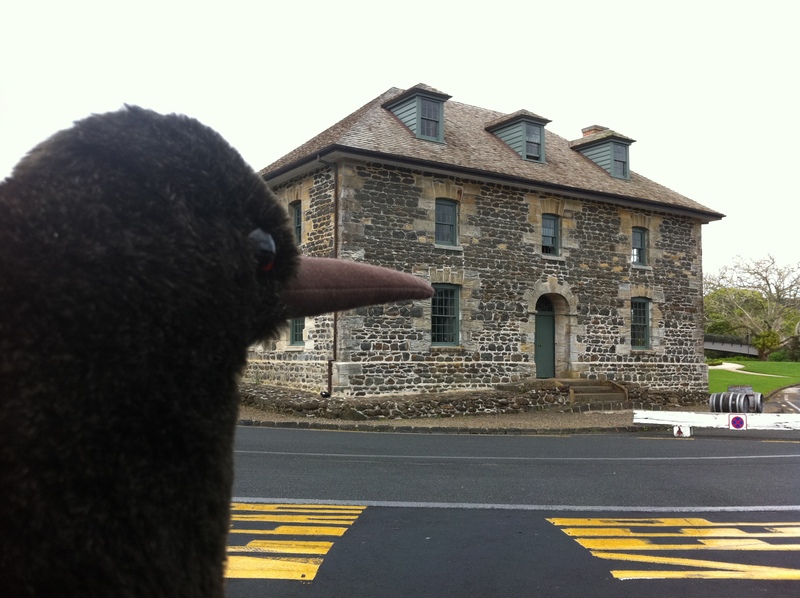 In this pic I was checking out the famous Stone Store! 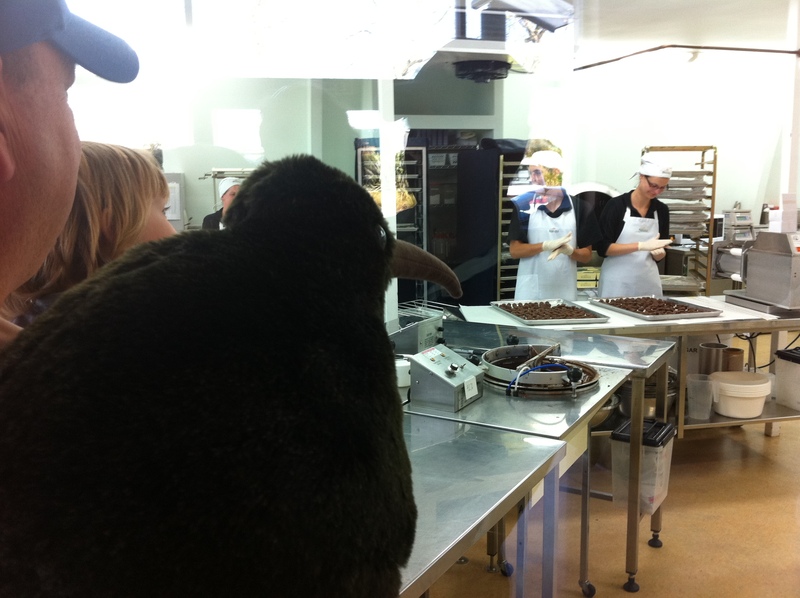 I also got to visit the Makana Chocolate Factory, see how some of their products are made and meet some of the staff too!! And of course there was the sampling plate, hehe . 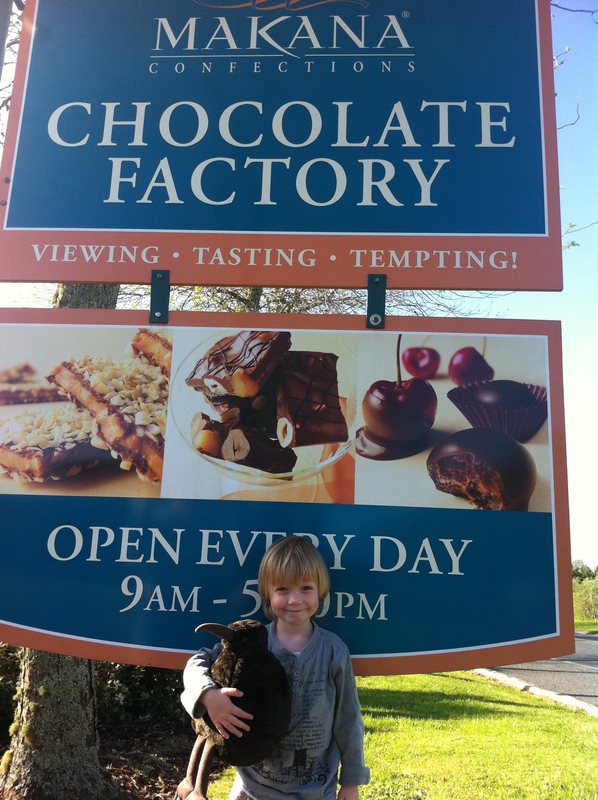 . .
My next event was the Whangarei Babywearing Walk – boy was that thirsty work as it was soon after the Kerikeri Walk which was that morning and quite frankly my bed was really calling to me. I maintained my professional demeanour however and enjoyed the event, helped out a bit by a lovely young lad called Ethan who installed me into his kids baby carrier – very comfy it was too. Check out Stiched Purls if you’d like to get one for a small person you know. 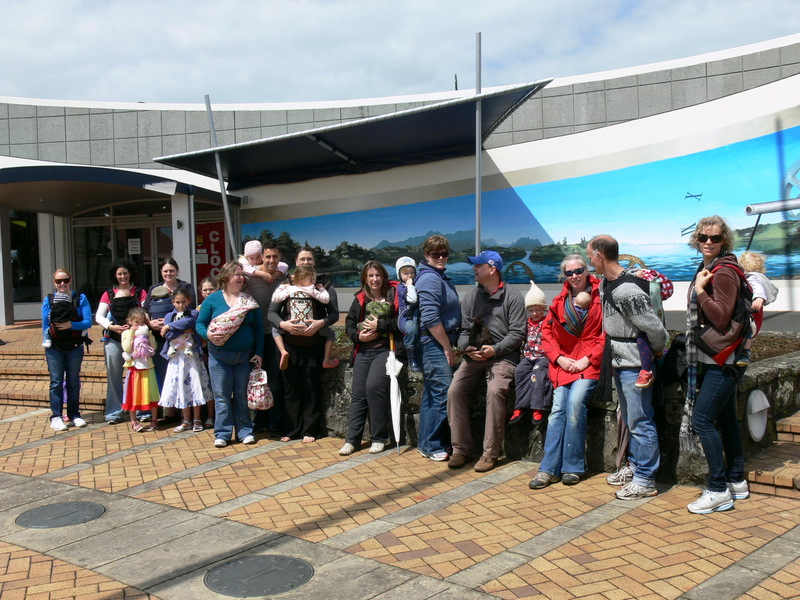 Here I am with most of the group in Whangarei! 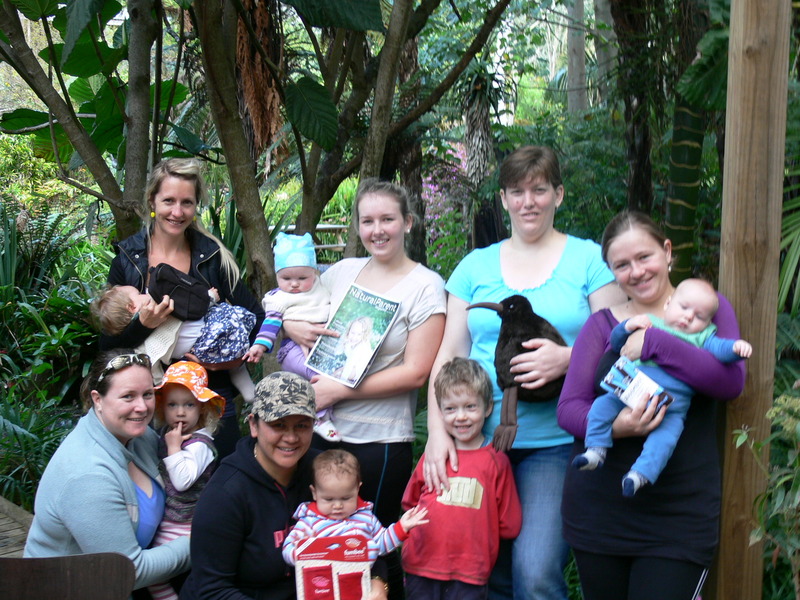 My next stop was the Babywearing North Shore workshop in Auckland which was a lot of fun. I met some more fabulous people, helped with the prize draws and got to have a ride in a stretchy wrap with a lovely pregnant lady. I almost dozed off in there! 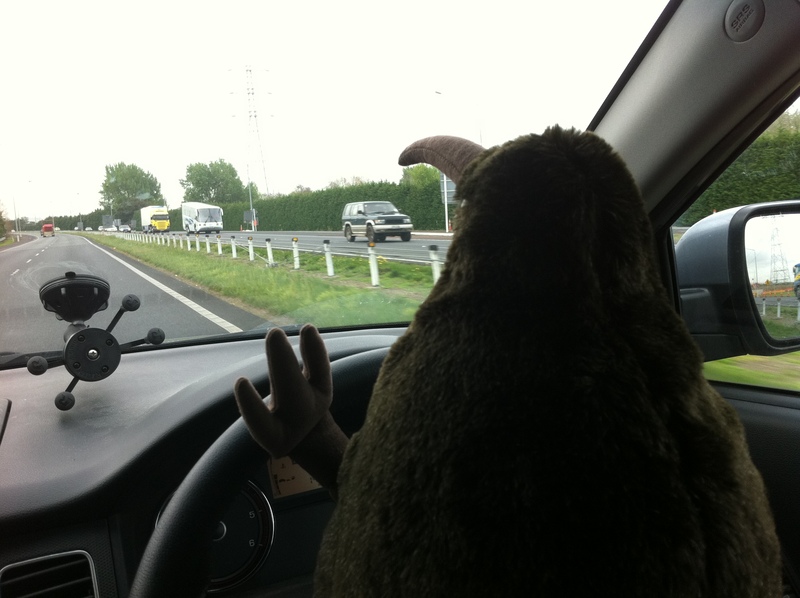 Next on the agenda was a trip further south so I jumped in the car and hit the road . 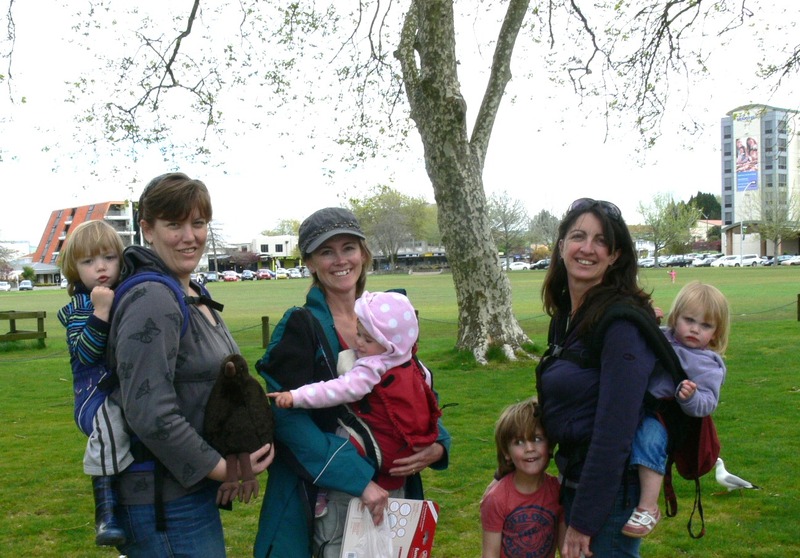 . .
We arrived in Rotorua in time to join the lovely locals for a babywearing walk which ended at the Rotorua War Memorial Park by the lake for some demo’s and prizes. It was fun hanging out there. 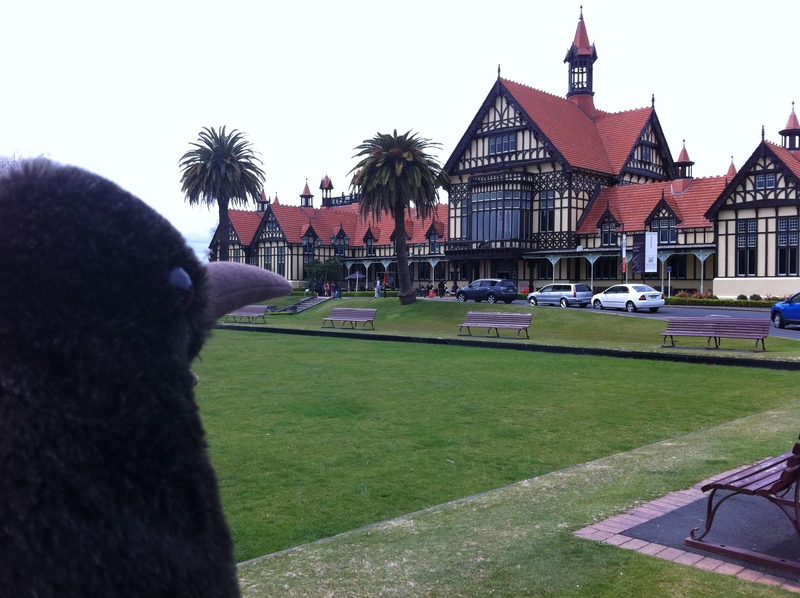 Here I am checking out the famous Rotorua Museum! It was such a busy week for me. Being a nocturnal chap it was a challenge to stay awake during the day but it was so worth it, I had so much fun. 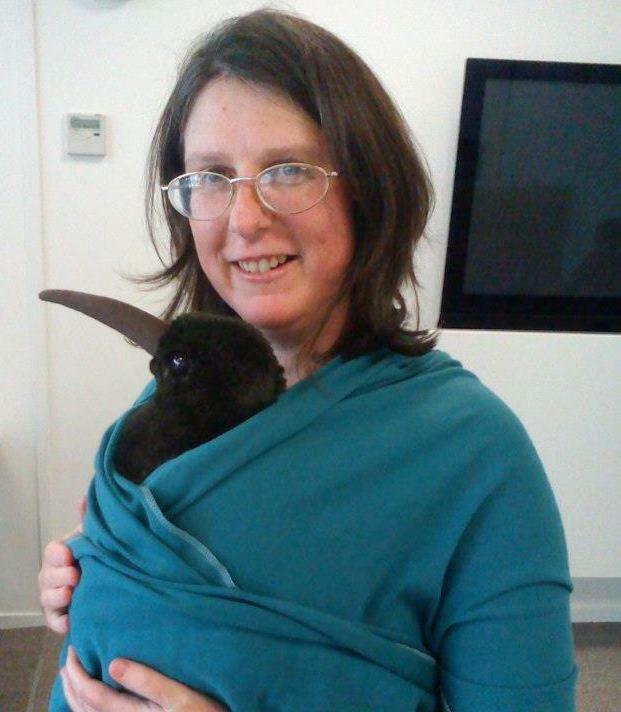 Thanks to everyone who sent in entries for the guess and win comp – guessing which events I would be attending during New Zealand Babywearing Week. 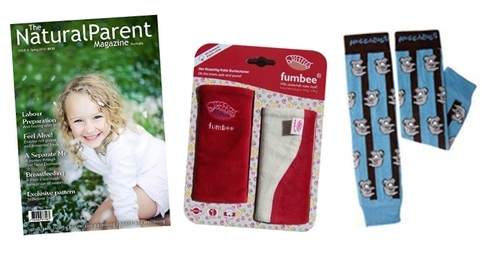 My prize for the winners is pictured below and includes a set of fumbee shoulder strap protectors (suitable for any baby carrier, stroller/pushchair or car seat straps) from My Natural Baby, a pair of Huggalugs leg and arm huggers from our friends at Huggalugs New Zealand and a copy of the latest The Natural Parent Magazine. Big thanks to our prize sponsors!! Prize value is $60.00! (Prize can only be shipped within New Zealand). And the lucky winners with correct guesses are . . . . actually noone guessed four correct events!! Most entrants guessed two events correctly, and two guessed three correctly. Sooooo the two people who guessed three events correctly will each win a prize pack! Congratulations to Kerry Sequana and Tonya Bristow!! I’ll organise for your prize packs to be sent to you this week! 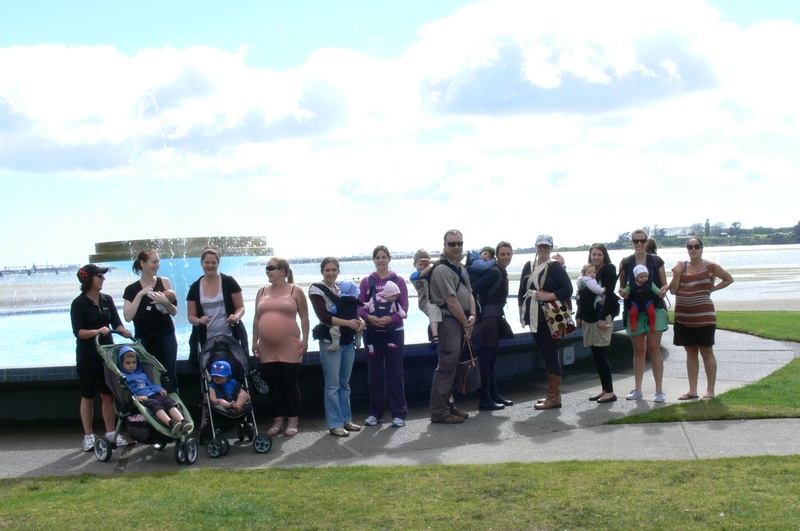 Thanks again to everyone who joined in the New Zealand Babywearing Week 2012 celebrations – I look forward to seeing many of you again next year! 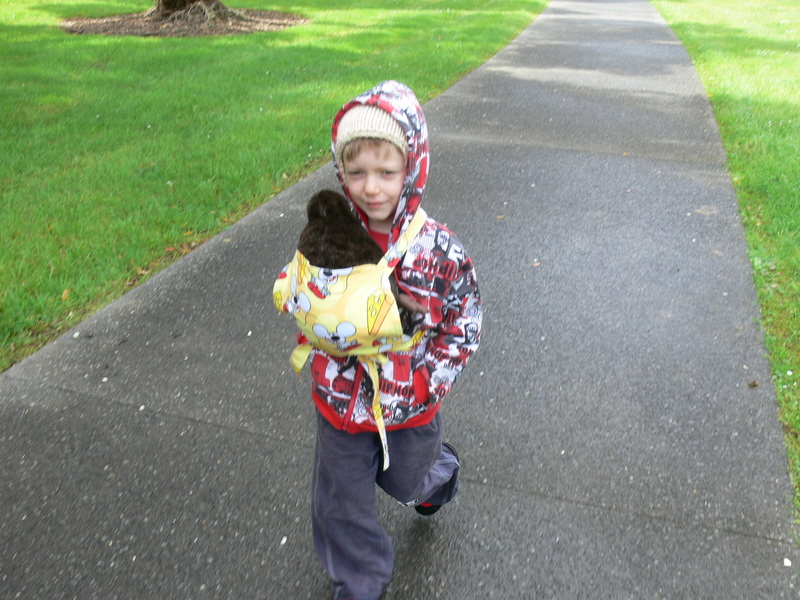 This entry was posted in Giveaways and tagged baby carrier, baby sling, fumbees, Huggalugs, international babywearing week, Manduca, New Zealand Babywearing Week, The Natural Parent Magazine. Bookmark the permalink. Thank you Pikau!!!! Stoked I won!! !